Auxi-le-Château is a small town and commune 30 miles (48 kilometres) west-south-west of Arras and 15 miles (24 kilometres) south-west of St. Pol. 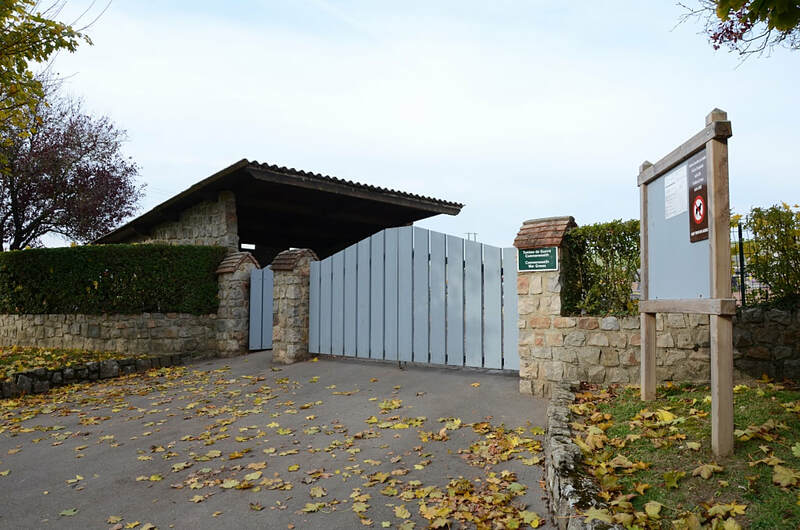 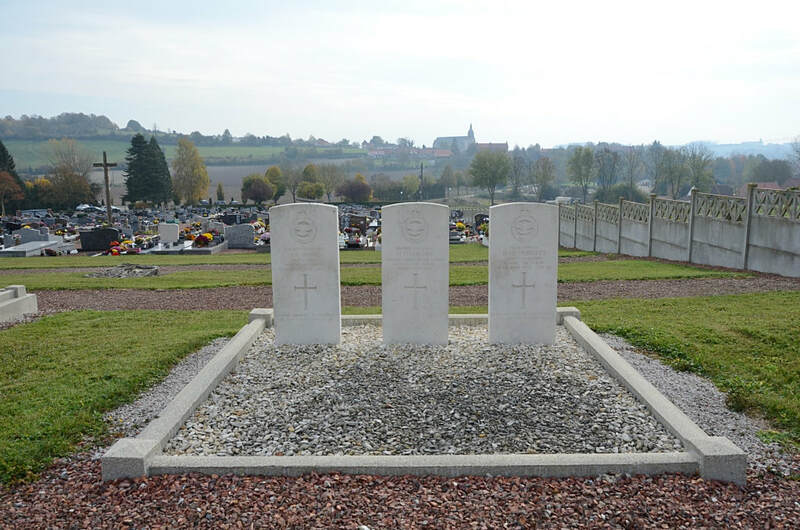 The communal cemetery is north of the town and on the western side of the road (D.120) to the neighbouring village of Haravesnes. 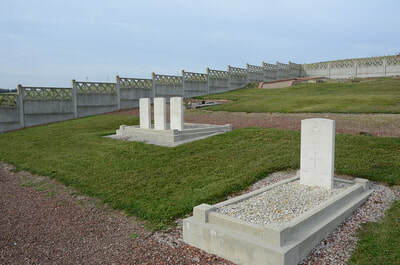 The graves of the British airmen are in the north-western part of the cemetery, three in one small plot, the other in the next row to the south. 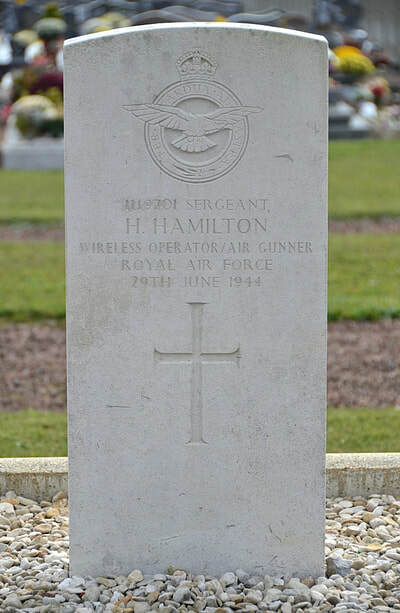 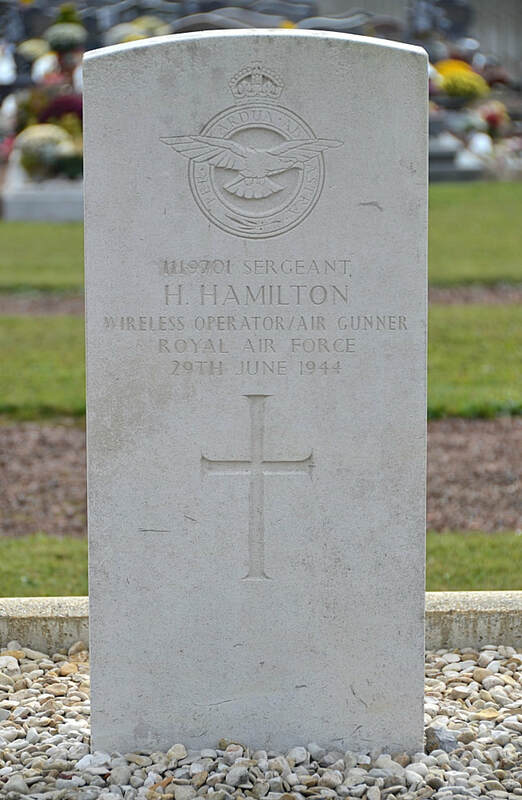 1119701 Sergeant Henry Hamilton, Wireless Operator/Air Gunner in 467 Squadron, Royal Air Force Volunteer Reserve, died 29th June 1944. 1530697 Sergeant John Elias Jones, Navigator in 9 Squadron, Royal Air Force Volunteer Reserve, died 25th June 1944, aged 23. 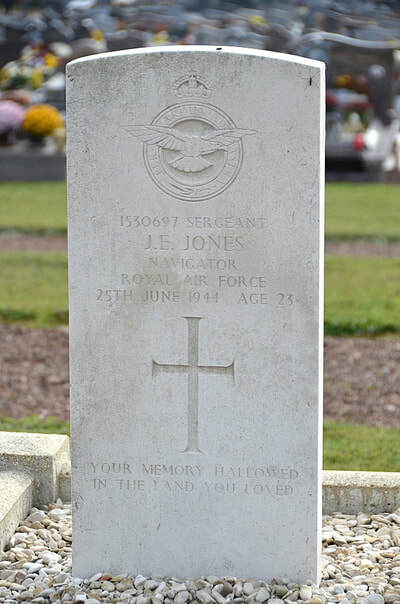 Son of Arthur Davies Jones and Ruth Jones, of Flint. 47459 Flying Officer Lewis Kenneth Kershaw, Pilot in 26 Squadron, Royal Air Force, died 27th November 1942, aged 22. 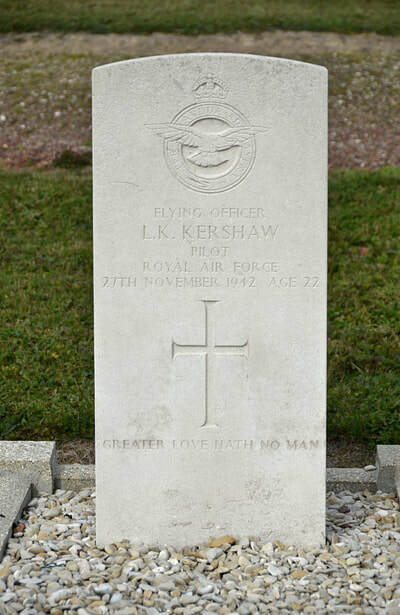 Son of Lewis Kershaw and of Mary Dowsley Kershaw (nee McKay), of Shenfield, Essex. Formerly 2/Lt. 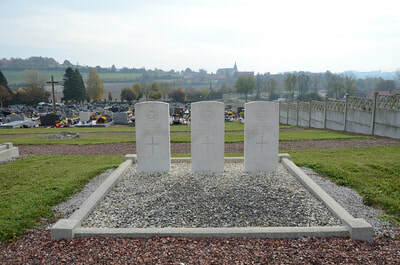 The Devonshire Regt. 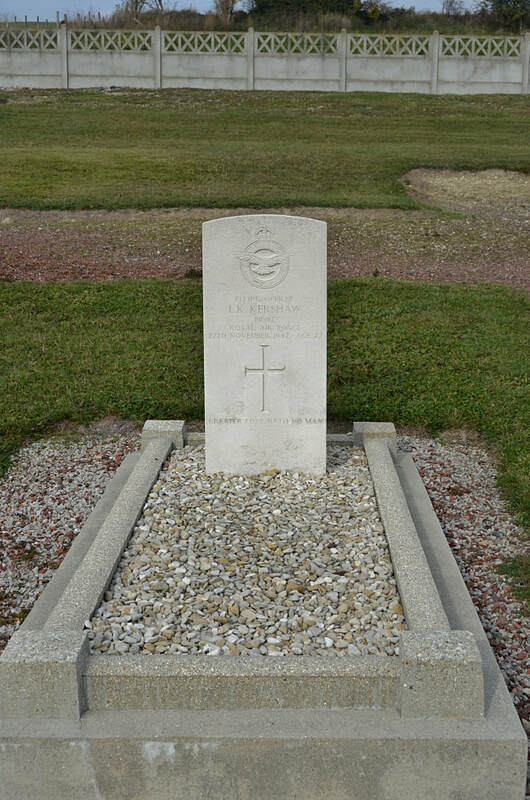 His brother Eric Stanley also died on service and is buried in Tilly-sur-Selles War Cemetery in Normandy. 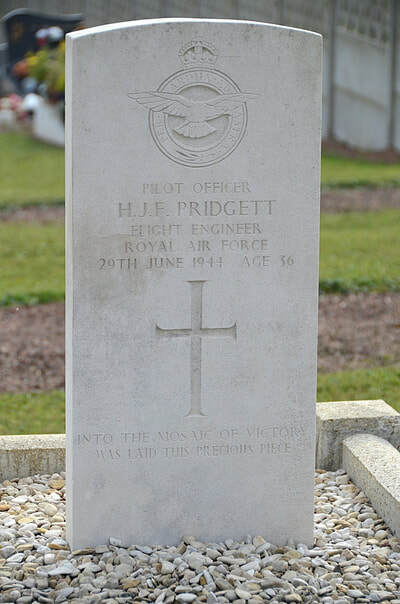 187227 Pilot Officer Henry John Francis Pridgett, Flight Engineer in 467 Squadron, Royal Air Force Volunteer Reserve, died 29th June 1944, aged 36. 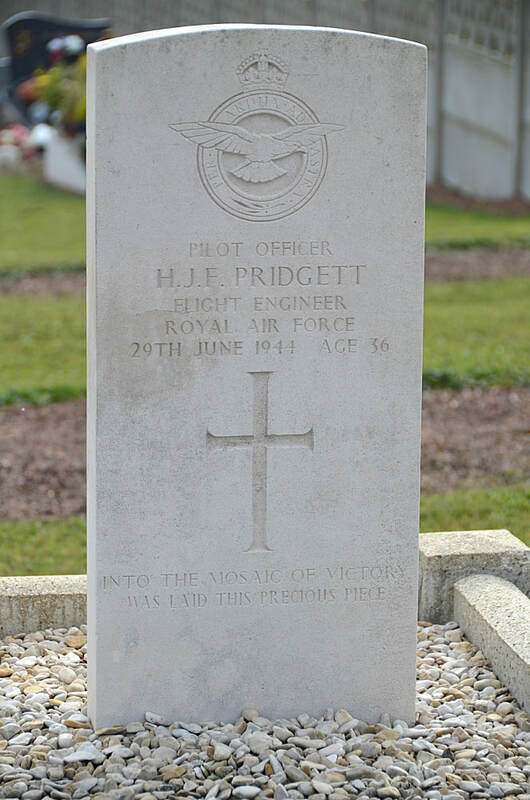 Son of Henry and Constance Pridgett; husband of Jessie Patricia Pridgett, of Islington, London.